Contributed by Jim Higgins, Nov 27, 2002 [jchiggins22@hotmail.com]. Total records = 40. On Long Island take the Long Island Expressway (Rt. 495) East to exit 66. Turn right off the exit ramp, and go about 10 miles N to Rocky Pt. Continue straight across Rt. 25 A in Rocky Pt. and onto Hallock Landing Rd. Go about another 1.2 miles and then take a left at fork onto Culross. Then go only 20 yards and turn left onto Hallock Lane. The Cemetery is about 50 yards up the hill on the right (#5 Hallock Lane). The Noah Hallock Cemetery is situated on the north side of Hallock Lane, near the intersection of Hallock Landing Road and Culross Drive in Rocky Point, a small community on the north shore of Long Island. 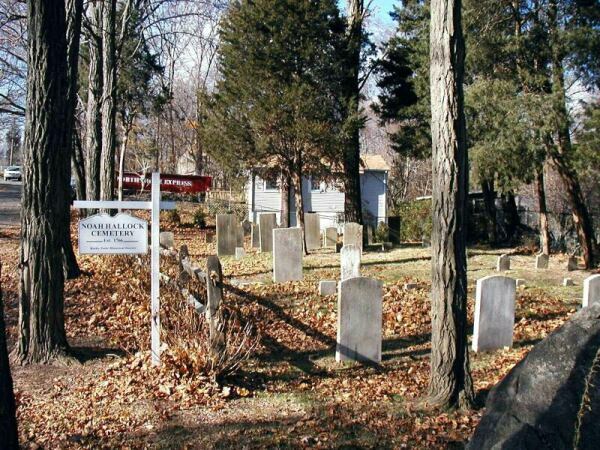 The cemetery dates from the 1700's when Noah Hallock (1696-1773), the great-grandson of Peter Hallock of Southold, settled on the Alanding road in Rocky Point. In 1995 the cemetery was in a sad state and thus a full documentation and restoration project was begun by members of the Rocky Point Historical Society. This included photography, documenting all inscriptions and interments, use of past transcriptions of the cemetery, repair and restoration of cemetery and headstones. This resulted in the publication in 1997 of the document, The Noah Hallock Cemetery of Rocky Point, by Natalie Arucci Stiefel, James Higgins, and Suzanne Johnson under the sponsorship of the Rocky Point Historical Society. Rev. 1 was published in December, 1998. Transcriptions and research done by the authors. Also in the Spring of 1995, Rocky Point community members were successful in adding this inactive cemetery to the list of those maintained by the Town of Brookhaven. 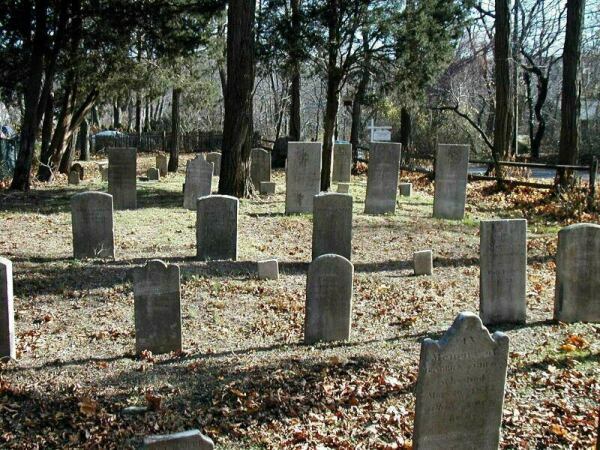 In early 1997 Brookhaven Town listed 147 cemeteries in the town, of which 40 are being maintained by the town. In the mid-1990s the cemetery was in very poor repair, but now with Town maintenance, supplemented by a bi-annual Historical Society clean-up, it is in good condition. This transcription is complete up to Dec 1998.